louisa marcelle eadie dressage - LME Dressage - LME Dressage will tailor a program to suite any horse and rider. At LME Dressage our business is taking horses and students for dressage training and competing. Specializing in breaking and training young horses. 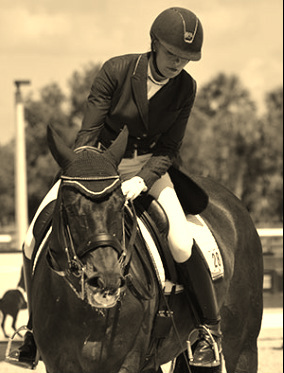 Louisa has qualified several horses over the past few years for the National Championships. Louisa trains AA as well as juniors and young riders and riders from novice through the FEI levels. Louisa welcomes all sales horses at competitive commission rates. Check our Sales page for current Sales available. LME Dressage is available for clinics and can travel to your own barn to ride and teach. The facility is located between Pawling NY, Fairfield CT and New Milford CT and is only minutes away from the Pawling train station. Only 90 mins from New York City by car. ​LME Dressage will tailor a program to suit your goals. LME Dressage is so happy to announce we have found our forever home in Sherman CT. The facility is designed especially to accommodate foals to International Grand Prix. We cannot wait for you to join us! ​We also offer Theraplate services at the our new facility. We are also now in a partnership with Revolution Equestrian in Pawing, NY for an all year round training facility. ​Recommended by veterinarians, professional trainers, and champion riders, the Choice of Champions brand of equine supplements are helping horses in virtually every equestrian discipline including jumping, dressage, polo, racing, reining, cutting, roping and barrel racing. Custom Saddlery is constantly designing and researching saddles and riders to find the right blend of design and craftsmanship to fit today's demands. Every saddle's detail is carefully checked to be sure the workmanship and quality is there. ​I love my Custom Saddlery saddle!